The No. 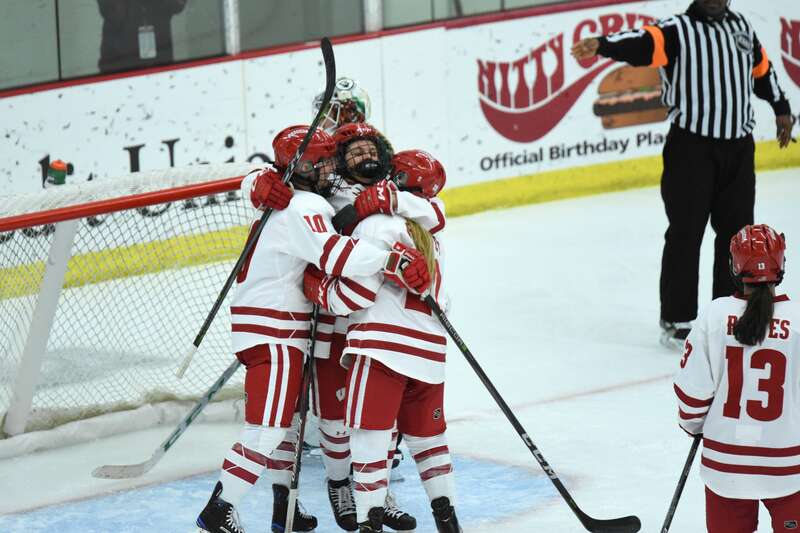 1 Wisconsin women’s hockey team continued its commanding 2018 campaign over the weekend, sweeping the Bemidji State Beavers at LaBahn Arena after two weeks off from play. The Badgers (13-1-0, 7-1-0-0 WCHA) defeated the Beavers (2-11-1, 2-7-1-0 WCHA) 5–0 Friday and 3–0 Saturday afternoon to move to 13-1-0 and retain their No. 1 USCHO.com ranking. The Badgers pulled away early on Friday, scoring four goals in the first period to secure the series opener at LaBahn Arena. Senior Sophia Shaver, sophomore Delaney Drake and freshmen Sophie Shirley and Britta Curl all scored for Wisconsin. 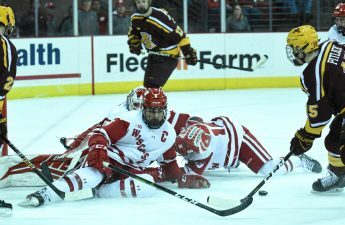 Despite a dormant start to Friday’s game, the Badgers hit their stride after Shaver netted the game’s opening goal with 11:15 remaining in the first period. Drake added a goal two minutes later to put Wisconsin up 2–0. Shirley continued her outstanding freshman season with two goals in the final six minutes of the period to all but secure a Badger victory. Curl added extra insurance in the second period to put Wisconsin up 5–0, earning her fifth goal of the season. 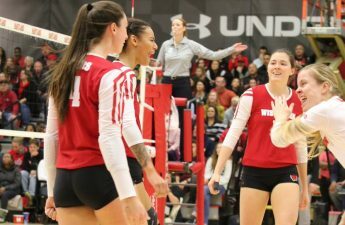 In his post-match conversation with UW Athletics, Head Coach Mark Johnson was impressed with the poise of both Curl and Shirley. Saturday’s outing produced a similar result, as the Badgers came out swinging in the first period once again. Junior Presley Norby found the back of the net at the 4:28 mark in the first period, speeding past a Bemidji State defender for her fourth goal of the season. Just minutes later, Shaver notched her second goal of the weekend off a loose puck in front of the Beaver net to put the Badgers up 2–0. Fellow senior Annie Pankowski — back from representing USA Hockey in the Four Nations Cup — scored her sixth goal of the year in the second period to give Wisconsin a three-goal advantage. Wisconsin matched a strong offensive display — six different Badgers scored over the weekend — with a tremendous defensive effort headed by junior goalkeeper Kristen Campbell, who earned her third-straight shutout. She now has four shutouts this season. 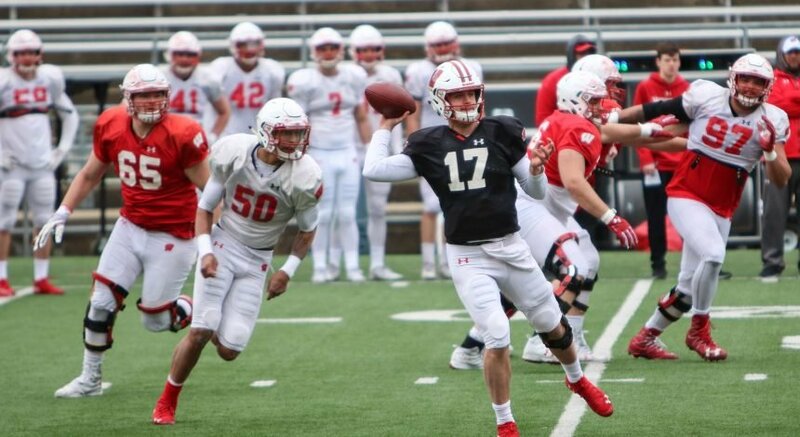 With the team back at full-strength, Wisconsin looks poised to continue their magnificent season. Up next for the Badgers, a post-Thanksgiving weekend tilt against the Harvard Crimson at LaBahn Arena. Puck drop Friday, Nov. 23 is set for 7 p.m. and 8 p.m. Saturday, Nov. 24.